Attorneys for PG&E and more than a dozen victims in the North Bay wildfires appeared in San Francisco Superior Court Friday for a key hearing about the utility's liability for those fires. 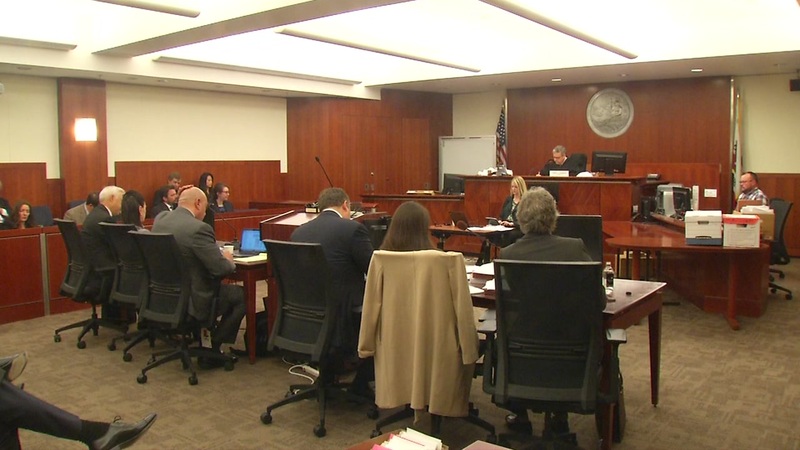 The key questions the court was asked to resolve: Can the utility be held liable for damages, and if they can be held liable, can the PG&E raise their rates in order to pay for those damages. The community in Santa Rosa joined local leaders to find out what residents are supposed to do after the devastating North Bay Fires. It's a long and difficult road especially when housing is concerned. The October 8 fires are known as the most destructive in California history, burning more than 245,000 acres, destroying more than 5,000 homes and killing 44 people. State Insurance Commissioner Dave Jones announced in October that claims from losses amounted to more than $3.3 billion. While final investigations on the causes have not been completed, preliminary information appears to indicate that in many cases the fires were sparked by PG&E's equipment. The California Constitution states property owners can hold utilities responsible for damages because they are a public utility and subject to the legal concept of "inverse condemnation." That basically means, if a public organization is responsible for damaging private property the owners of that property can be compensated. PG&E unveiled its state-of-the-art Wildfire Safety Operations Center on Tuesday, a hub where they'll coordinate responses to fast-moving fires like the North Bay fires. PG&E argued that they are a private company and therefore they cannot be held under the same rules as a public company. "We continue to believe that inverse condemnation, as applied to a privately owned utility, is a flawed legal doctrine that is bad for all Californians," PG&E spokesperson Paul Doherty wrote to ABC7 news. "The loss of life, homes and businesses in these extraordinary wildfires is simply heartbreaking, and we remain focused on helping the North Bay communities recover and rebuild." On Friday, PG&E denied being liable for the wildfires, but said if they were found liable they want to be able to ask for rate hikes from their customers to pay for the damages. Attorneys for the fire victims, believe PG&E should not be able to pass the buck for their mistake onto customers and should pay for it out of their pocket. They pointed to two previous rulings in California that used "inverse condemnation" to prove that utilities were liable for damages. The hearing ended with both sides agreeing with presiding judge Curtis Karnow to convene for an informal closed-door conference in early June. Dion Lim will have a full report on ABC7 News at 4:00 p.m. and 6 p.m. And you can follow her on Twitter to get the latest on this story. Just got out of court w/attorneys for victims of North Bay wildfires 🔥 & PG&E. Judge now reviewing if utility company can be financially responsible for fire. Closed door informal discussions set for 6/8.